Invasive Moisture Testing Auckland - No Hidden Defects. Invasive moisture testing is required when all non-invasive testing has been completed. Kevin will complete the invasive moisture test with the minimum of intrusion, i.e. drilling a few small holes. He will measure the moisture content levels in the defined area. Afterwards, Kevin will fill the holes. He will take accurate ‘Resistance’ mode moisture test readings at gauged depths. We will analyse the results to determine the level of moisture concentration within wall framing timbers and ascertain if fungal decay species are likely present. In the event of detecting excessive moisture findings, with the owner’s permission, plasterboard wall linings will be removed to visually assess damage to the timber framing and determine the point/s of moisture entry. At this stage, we will produce a report on damage and repair cost. View Our Prices Call Us Now 09 8337290 or Book Now! The moisture you cannot see is especially relevant when cleaning and restoring a property after water damage from storms, floods or fires. From hidden mould to unseen structural damage, undetected moisture damages health and property. Its oversight can create liability. That’s why the right moisture testing meter makes all the difference. 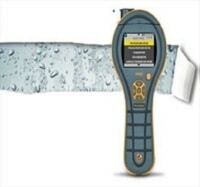 The Protimeter MMS2, the latest addition to GE’s Protimeter product line, is a 4-in-1 instrument, ergonomically designed for easy one-handed operation in measuring moisture in materials in buildings and related structures. It can measure surface moisture and moisture below a surface. It can also act as a hygrometer to measure ambient air humidity. We use an infrared thermometer to determine the difference between dew point and surface temperature. Kevin will collect a wide range of other important psychometric parameters. Call Us Now 09 8337290 or Book Now!